Here is something for thought, for those who take time to go and get their nails done. 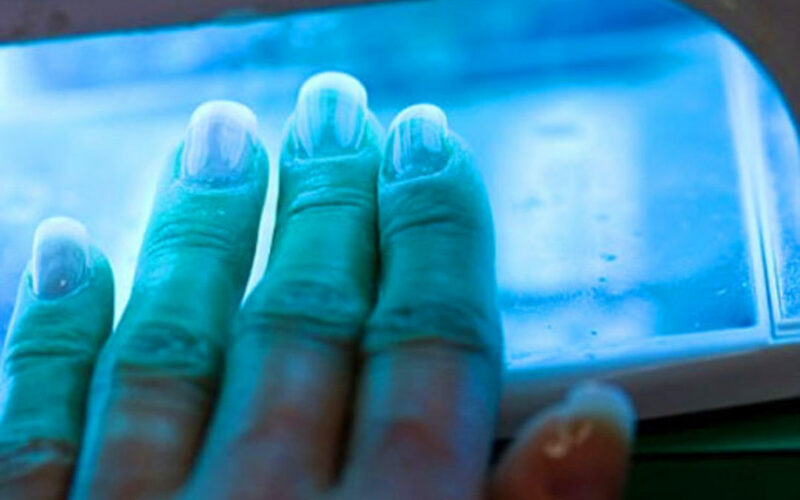 The Skin Cancer Foundation, which is a global organization established for the sole purpose of getting the word out on prevention and detection of skin cancer, has a stance on the UV lights that are used at your local nail salon. Although the risk is low and possibly negligible, those quick drying lights still emit a UV light, which is a well-known source for causing skin cancer. To play it safe with gel manicures, The Skin Cancer Foundation recommends applying a broad spectrum (UVA/UVB) sunscreen to hands 20 minutes prior to UV light exposure. If getting a regular manicure, the safest bet is to allow nails to air-dry naturally, avoiding the drying lamps altogether. Remember, all nail lamps produce UV radiation. For more information, visit SkinCancer.org.